Suzanne Jackson was born in St. Louis, MO in 1944, and grew up in Fairbanks, Alaska. Jackson studied and received her BA at San Francisco State University, and her MFA from Yale University School of Drama, Design. She has had a distinguished career; exhibiting her works nationally and internationally. Jackson’s extensive works can be found in both public and private collections. She was also a student of Charles White and her colleagues have been Sam Gilliam, David Hammons and other prominent artists. Most recently, Suzanne Jackson’s work can be seen in Soul of a Nation: Art in the Age of Black Power (now at the Brooklyn Museum) and West by Midwest (Now at MCA, Chicago). Aaron Galleries is excited to represent Suzanne Jackson, with more works to come in the New Year. Our contemporary artists are Twentieth and Twenty-first Century artists who express themselves in unexpected ways. They experiment with traditional materials and tweak their vision to give the viewer an exciting and exhilarating experience. Some of our Contemporary artists are Clover Vail, Howard Smith, Peter Bodner, David Cantine, Rashid Johnson and many more. Aaron Galleries is a fine arts gallery carrying predominately American 19th Century and 20th Century works of art. 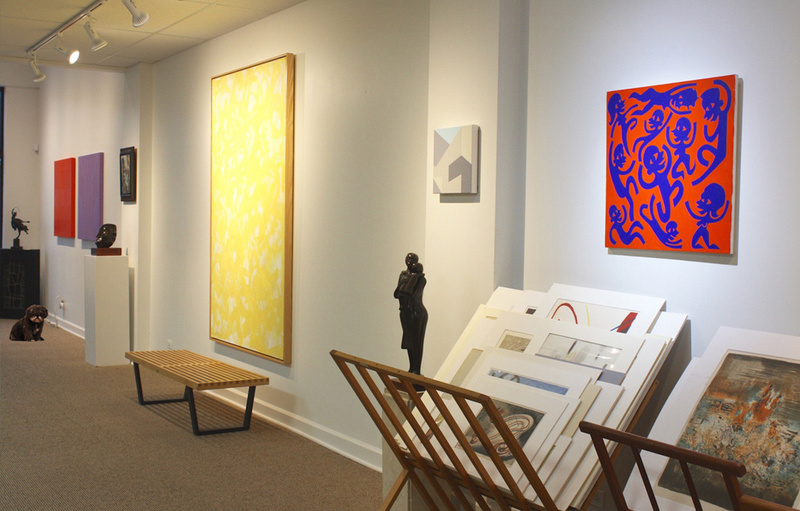 We also have some exciting 21st Century artists and an African-American art specialty that we are pleased to represent. We consider our “classics” to be Thomas Hart Benton, Grant Wood, Ross Braught, John Steuart Curry, Jackson Pollock, Rockwell Kent, Beauford and Joe Delaney, Romare Bearden, Joseph Meert, and the list goes on and on.